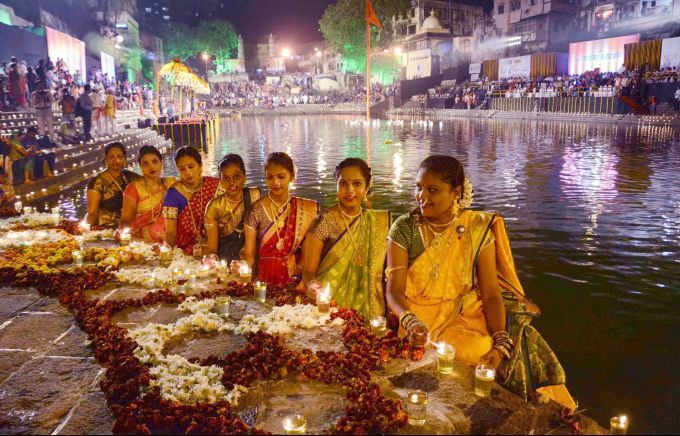 Mumbai: Hindu women light lamps at Banganga on the eve of Kartik Purnima, in Mumbai, Thursday, Nov. 22, 2018. 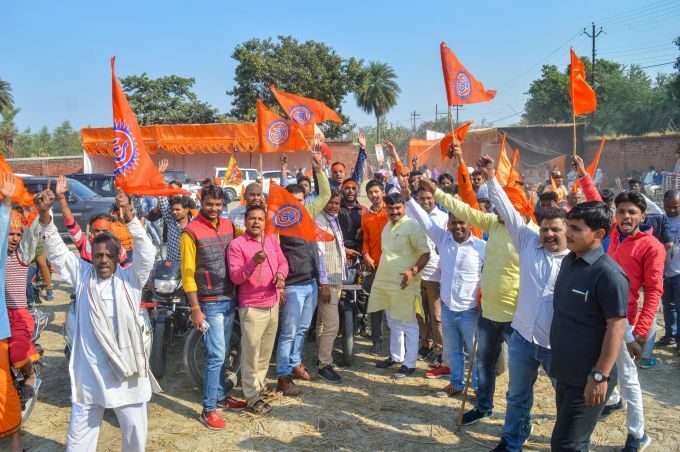 Ayodhya: Vishwa Hindu Parishad activists participate in a procession rally to make a call for their November 25 Vishal Dharm Sabha at Ayodhya, Thursday, Nov. 22, 2018. 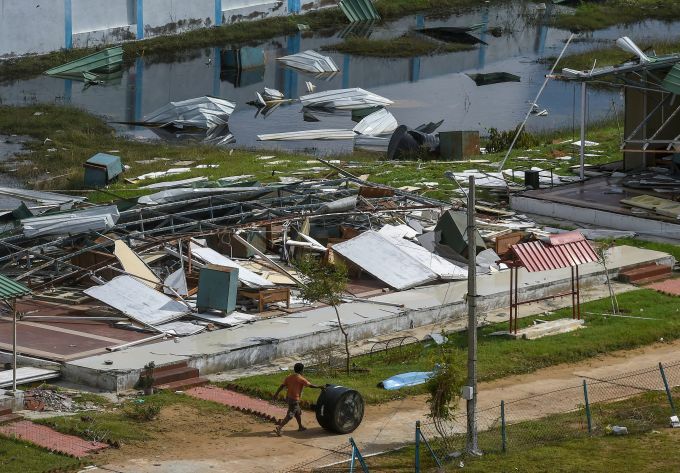 Kodiakkarai: A view of Indian Navy building which faced damage due to cyclone 'Gaja, in Kodiakkarai, Thursday, Nov. 22, 2018. Cyclone Gaja had crossed the Tamil Nadu coast early on November 16 claiming 46 lives and left a trail of destruction in over ten districts, including Nagapttinam, Thiruvarur, Puthukottai and Thanjavur which suffered severe damage. 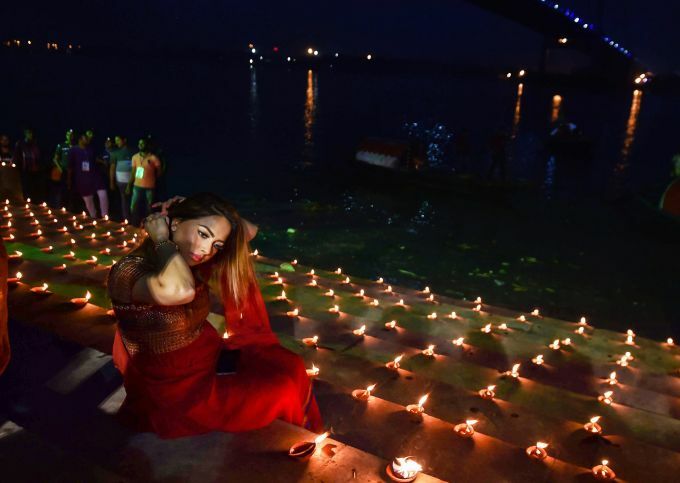 Kolkata: A Hindu woman adjusts her hair at the bank of river Ganga, which is decorated with earthern oil lamps to mark Dev Deepawali festival, in Kolkata, Thursday, Nov. 22, 2018. 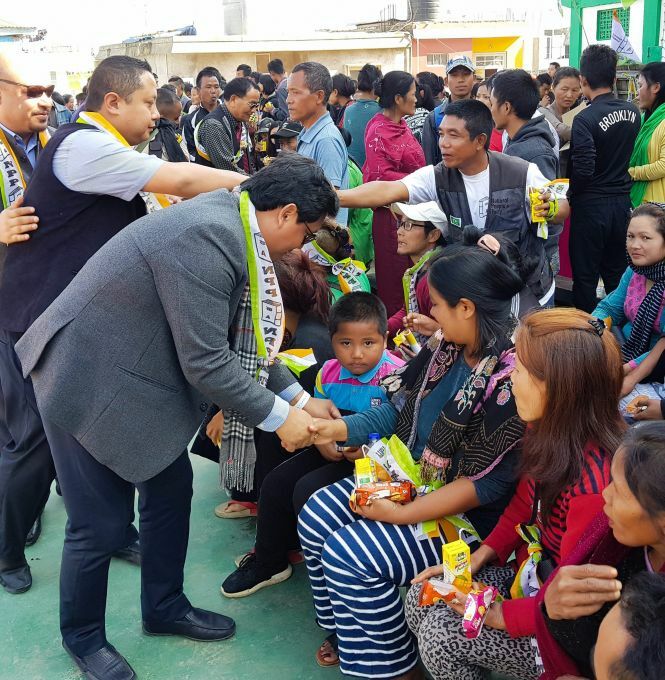 Kawnpui: National People's Party (NPP) President and Meghalaya Chief Minister Conrad K Sangma during an election rally in support of party candidates ahead of the Assembly elections, at Kawnpui town under Tuirial constituency in Mizoram, Thursday, Nov 22, 2018.